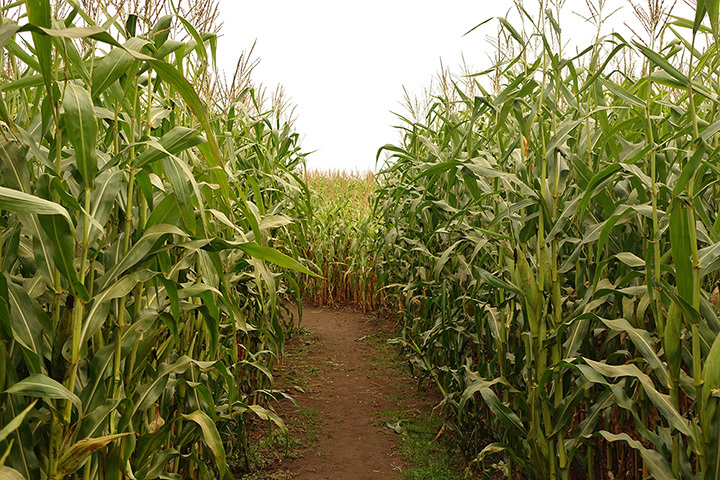 The actual corn maze covers 10 acres with approximately 3 miles of trails lined with 10 - 12' towering walls of corn. The maze is also situated on a hill, which allows for fantastic views and keeps the trails from getting too wet after the rain, however, this can also become a workout. Most visitors spend 2 - 5 hours on the property enjoying the different attractions.